The obsession in our society to lose weight rapidly is dangerous. We see it plastered all over those dubious sponsored Facebook ads. We get bombarded by news stories of reality stars who are breaking the internet with selfies of their much-coveted thigh-gap. If we opt for unhealthy shortcuts to achieve this unrealistic beach body ideal by ignoring what our bodies need, the long-term effect of our decisions can be damaging to our health. In this article, you’ll learn some of the simplest and most effective methods to live a healthy and balanced life: eating the Ayurvedic way. Ayurveda is a Sanskrit word meaning “science of life.” It is an ancient holistic healing system originating from India that addresses the entire self: mind, body, and spirit. One of Ayurveda’s central teachings is that our bodies are made up of different combinations of the primal elements of earth, water, fire, air, and ether. These elements are the life energies behind all of our bodily functions. As such, Ayurveda’s fundamental aim is to restore the balance of these life energies to reduce disease and promote health. There are three doshas in the Ayurvedic principles: Vata, Pitta, and Kapha. Dosha is a Sanskrit word meaning “fault” or “defect.” According to Ayurveda, each of us possesses a unique makeup of Vata (space, air), Pitta (fire, water), and Kapha (earth, water) that creates an individual blueprint for our ideal state of balance. People with a predominance of Vata have quick, creative minds—but they also often forget things just as quickly. They also walk and talk fast but are easily fatigued as they are not very good at holding their energy. People with a predominance of Pitta have many of the qualities of fire: warm bodies, penetrating ideas, and sharp intelligence. They have a high metabolism, strong appetite, and good digestion—though they have a lower tolerance for sunlight, heat, and hard physical work. People with a predominance of Kapha have endurance, strength, and stamina. They tend to have sweet, loving dispositions, and are grounded and stable people. They gain weight easily and have a slow metabolism; they tend to shun exercise. Knowing your predominant dosha helps you identify your food incompatibilities so you can tailor your nutrition, fitness, and lifestyle choices to improve digestion and achieve optimal health. Now that you know your dosha, the general rule of thumb in eating the Ayurvedic way is to choose fresh and organic foods as much as possible. Vata has the qualities of being cold, dry, and light. When Vata is aggravated, you may feel constipated or experience dry skin and brittle hair. To balance these qualities, choose foods that are warm or hot, soothing and moist, and rich in protein and fat. Vatas must eat regular meals every day to stay nourished. Do not fast. If a cleanse is needed, opt for Kitchari instead as it’s easy to digest. Fruit that is sweet is beneficial: bananas, berries, cherries, mangoes, oranges, papaya and pineapple. asparagus, cauliflower, green beans, okra and sweet potatoes. Favorable grains include amaranth, booked oats, quinoa, sprouted wheat bread and all types of rice. Dairy can include cow’s milk, goat’s milk, and plain or frozen yogurt with fruit. Pitta has the qualities of being hot, oily, sharp, light, and liquid. When Pitta is aggravated, you may feel heartburn, inflammation, or sour stomach. To balance these qualities, choose foods that are dry, mild, cooling, grounding, and hearty. Pittas have the tendency to skip meals, so eating at consistent times helps to prevent overeating and digestive upset. If a cleanse is needed, a short juice cleanse or Kitchari can balance the excess Pitta. Sweet fruit: apples, bananas, berries, cherries, red and purple grapes, oranges, pears, strawberries and watermelon. Sweet and bitter vegetables are favorable: broccoli, Brussels sprouts, cooked or raw carrots, cauliflower, celery, green beans, kale, leafy greens, and asparagus. Good grains include couscous, granola, quinoa, oat bran, basmati rice (white or wild), seitan, sprouted wheat bread, barley, and amaranth. Dairy can include cow’s milk, cottage cheese, ghee, ice cream, fresh yogurt, and unsalted butter. Animal foods can include buffalo, chicken, eggs, freshwater fish, and turkey. Kapha has the qualities of being heavy, cool, oily, and smooth. When Kapha is aggravated, you may emotionally eat, gain weight easily, or experience painful joints. To balance these qualities, choose foods that are light, warm, dry, and rough. Kaphas must eat regular meals throughout the day containing foods that bring satisfaction and enjoyment—to prevent the urge to eat out of boredom. Of the three doshas, Kapha can sustain energy with or without food, so periodic fasting and cleanses can be very helpful. Kitchari is also a good alternative to balance excess Kapha. Choose fruit that is more astringent like apples, berries, cherries, peaches, pears, strawberries. Choose more pungent and bitter vegetables such as asparagus, beets, broccoli, Brussel sprouts, cauliflower, kale, and eggplant. For dairy, ghee, goat’s cheese, goat’s milk, diluted yogurt all work. For animal foods, eggs, chicken, freshwater fish, turkey and shrimp are good. Favorable grains include barley, granola, quinoa, sprouted wheat bread, and basmati rice (wild). Learning about your dosha and eating the Ayurveda way is an instinctual, and intuitive method for improving your digestion. 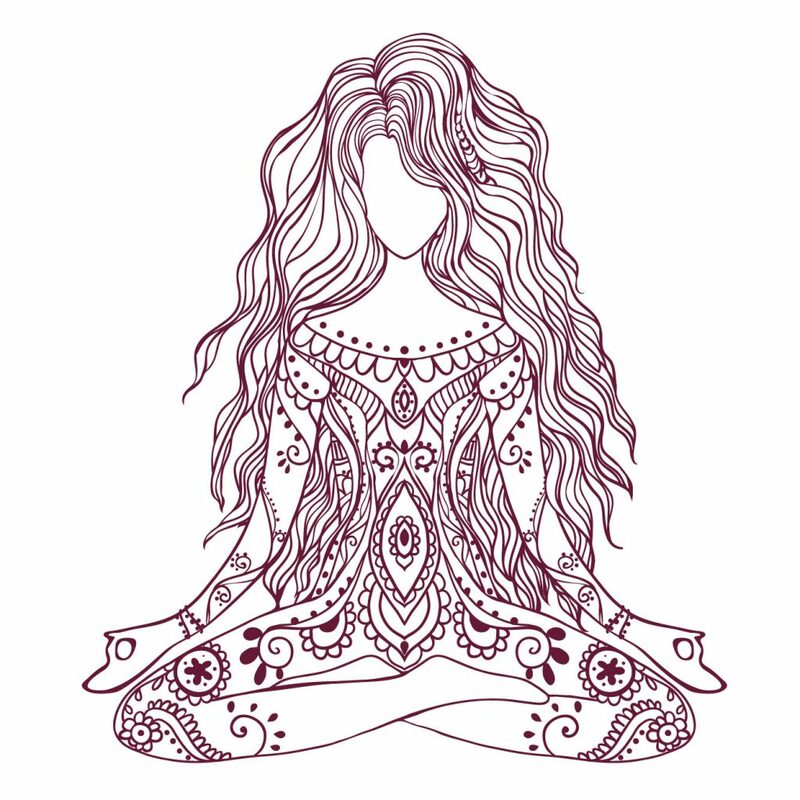 The power of Ayurveda, beyond the nutritional guidelines, lies in all of the equally important areas of this holistic healing system—yoga, pranayama, meditation, self-care, self-massage, and connecting to the powerful earth—which has kept people in optimal health for thousands of years. Ayurveda is not a fad diet; it’s a simple and effective way to live a healthy and balanced life. If you’re unable to consume a whole food diet, adding natural herbs and supplements into your daily ritual can also promote your health. For example, taking a high-quality turmeric such as Fusionary Formulas’ Turmeric Gold can help reduce inflammation, alleviate joint pain, and act as an anti-oxidant. Shivani Gupta, Ph.D. ABD in Ayurvedic Studies, is an author, speaker, and Ayurvedic Healer and Practitioner. A serial entrepreneur at heart, Shivani pioneered an organic cotton clothing line before it was trendy; launched an eco-lifestyle blog endorsed by Olympic Athletes, celebrities, and activists; and recently launched an Ayurvedic Nutraceutical company called Fusionary Formulas specializing in inflammation reduction, natural weight loss, and improved health overall. She is the author of the bestselling book, The Conscious Pregnancy: A Spiritual and Practical Approach to Creating a Zen Baby.